Recently I was in New York attending an initiation ceremony. As I watched the new devotees, young and old, take their vows, I reflected on my own beginnings. Over 35 years ago I sat before the fire and took the same vows. I am grateful to still be practicing. 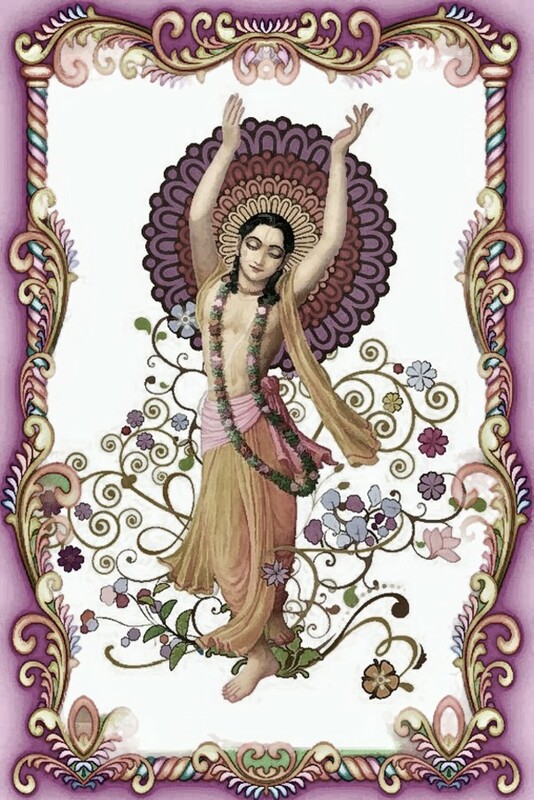 Later that day I heard a talk which shared 4 reasons why devotees sometimes give up the process of Krishna consciousness, the one they once started so enthusiastically. Turning them into positives, here are 4 things, if we do them well, that can bring us success in our spiritual endeavor, which is to awaken love for Krishna and live to in congruence with that wholesome truth. 1) Humility – the heart of a spiritual practice is humility, accepting the fact that we can’t succeed alone, we need help. As the years go by we gain knowledge and spiritual insights and feel our relationship with Krishna deepening and sweetening. This is a good thing. It means the process, the practice, is working. However, we may also grow the weeds of pride, making us feel like the big cheese in the spiritual community. We should watch out for those thoughts and throw them out the window. We are as big as our gratitude to, and utter acknowledgement of the role, of our spiritual teachers and fellow devotees in our spiritual journey. Anything other than that will trip us up and cause us to struggle. 2) Offenses – when we hurt, disrespect, or in any way short change other devotees of the Lord, we are offending. It can be by speech, by action, or by inaction. In any number of ways, offending brings clouds of discontent to our life. If we are feeling discouraged, or have little taste for our daily chanting, we can often trace it back to offending others. We may compound that by blaming everyone else but ourselves. Press the pause button. Slow down. Go for a walk alone or talk to a trusted spiritual advisor. Recognise the grip offensive or negative attitudes may have over your way of living in the world and change it. Small offences can build up over time so be careful to treat everyone with affection and care. After all, they too are trying their best to serve the Lord. 3) Sanga – sanga means association, a gathering of those interested in spiritual subject matters. Make sure you have time in your week to be together with devotees to hear and chant about Krishna, to serve together or to have meaningful conversations. When we have good friendships with other devotees it not only makes the good times better, but we have support and love when we are facing difficulty. Who we ‘hang out with’ shapes who we become. Find good Krishna devotee association and make time in your life to be with them. It is one of the most essential aspects of a successful spiritual practice. 4) Knowing the Path – this last one is perhaps the one we might neglect the most. Life, and also spiritual life, is full of ups and downs. When times get rough we might think – “Krishna, what’s going on? I’m serving you and why are things not going my way?” When we expect difficulty, and expect to be challenged as part of the growing process, the purifying process, we are ready for it when it comes along. Oh, there you are – now what am I to learn from this? What I am to change or grow into? When we make a commitment to the practice of Bhakti Yoga, to following strong principles and compassionate teachings, we make a commitment to make ourselves better. Such a practice has the potential to bring us extraordinary results, beyond even our wildest imagination. Don’t sell yourself short. Dive into the deep end, swim with courage, and honor the wisdom of those who have gone before us. If we do, we’ll make it to the end in one piece (and more).